Jelly Babies are a British treat that is chewy and come in forms of babies. Each baby has a different name and a different flavor. Some of the names are Brilliant (yellow: lemon), Baby Bonny (pink: raspberry), Bubbles (black: blackcurrant), Big Heart (green: lime), Bumper (orange). Before the sweets were called Jelly Babies they were called Unclaimed Babies. In World War I, the babies were called Peace Babies. They were not made in World War II due to sugar shortages. They were named Jelly Babies in 1954. An Austrian man, Herr Steinbeck, created the original Babies in 1864. The Jelly Babies were inspired by gingerbread men. Jelly Babies are covered in powdered sugar. The babies are softer than gummy bears and taste similar to Turkish delight. On the inside of the babies there is something that looks like a very sticky jelly. A lot of other candies were invented at the time because sugar was getting cheap and a lot of people liked sugar. A common experiment you can do with a baby, is put it in oxidizing agent and turn the Jelly Baby in a screaming baby. My favorite flavor was raspberry. In Brussels, we made waffles. The truth about waffles is that their really are no Belgian waffles. The waffles they have in Belgium are the street (or Liegeois) waffle and the Brussels waffle. On the street waffle, you should not put any toppings because it is already sweet, but tourists put them on anyway. We made the Brussels waffle in a workshop. It is soft on the inside and crunchy on the outside. The waffles’ most common toppings are whipped cream and strawberries. I put Nutella, strawberries and whipped cream. I really liked it. Fun fact: Belgians don’t eat waffles for breakfast because they are too sweet. They eat them for snack. Stroopwafles are a tasty treat in the Netherlands. They are very thin waffles cut in half with a filling in the middle, and they are chewy. They can be filled with caramel, syrup and many other delicious fillings. The stroopwafle was first invented in the town of Gouda by a baker playing with leftovers in the 1700s. The waffle is made from flour, brown sugar, yeast and eggs. In the town of Gouda, there are currently 17 factories that make stroopwafles. I like stroopwafles a lot. Ritter Sports is a brand of chocolate founded in Germany in 1912. If you go to a Ritter factory, you will find weird flavors like tortilla chips, raspberry yogurt, corn flakes and lemon. Ritter Sports is named Ritter Sports because Clara Ritter, the wife of the founder, wanted the chocolate to fit in a sport jacket’s pocket. A normal chocolate bar would stick out and break. Clara made them square so that they would fit. Lucy and I got to make our own chocolate. Mine was called Nati 94, and it was milk chocolate with marshmallows and sprinkles. We went to the Ritter Sports factory out side of Stuttgart, Germany. We bought 5 chocolates (plus Nati 94) for a taste test. The flavors were Knusper Keks (with butter biscuit), Nati 94, Keks and Nuss (biscuit and hazelnuts), Stratciatella (chocolate chip), Knusperflakes (corn flakes) and Knusper Tortilla Chips. We rated them 1-5, 5 was the worst, and 1 was the best. Nati 94 was the clear winner with 10 points. Three flavors fell in the middle: Keks and Nuss with 14, Knusper Keks had 15, followed by Knusperflakes with 16. Two flavors did not do well: Stratciatella with 24 points and finally Tortilla Chips with 26. I love Ritter Sports chocolate but I like Hershey’s chocolate better. It was not snowing. Rothenburg was cold, but not snowing. It was raining. But at the same time, there were snowballs. Although it was cold outside, inside was warm. And so were the snowballs. Warm and tasty, that is. And crunchy, with a touch of cinnamon. Maybe it would be easier if I explained a little more about schneeball, a traditional treat here Rothenburg. Schneeball means the same as snowball. So is it fair to say I didn’t see any snow, but I saw snowballs? Butter, sugar, egg, cream, and more ingredients make these treats. 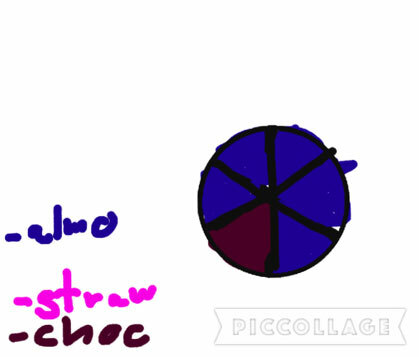 The traditional snowball would have had sugar on top, but now they have all types of snowball, like chocolate and cinnamon, as well as almonds and strawberry. Our parents tried sugar, but Natalie and I had cinnamon. They were really good. Snowballs are crunchy, and mine tasted like cinnamon. It was so deliciously yummy that my dad tried to steal a bit. In Austria, we had a taste test. 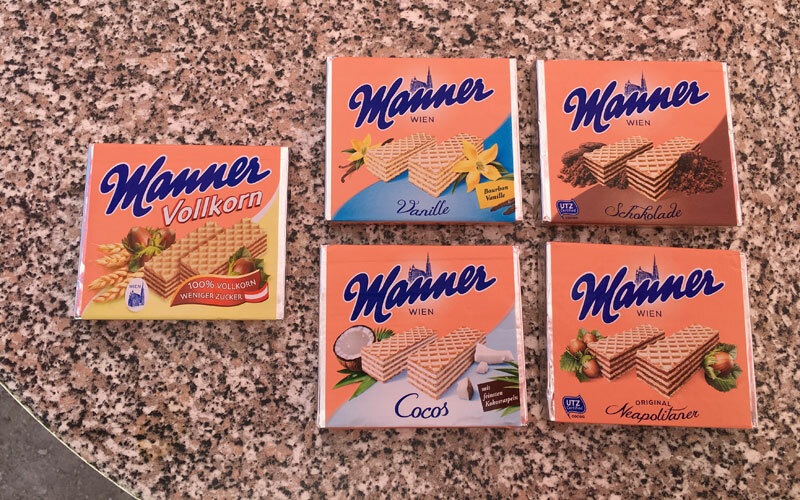 We tried Manner wafer cookies. We tried five different flavors: vanilla, hazelnut, coconut, chocolate and hazelnut with less sugar. There were two favorites, one was OK and two were bad. For this taste test, we had two special guests. They were my cousin Camila and her friend, Morgan. Guest post by Lucy: Have you ever heard of a Turkish delight? Turkish delights are a typical treat from–you guessed it–Turkey. 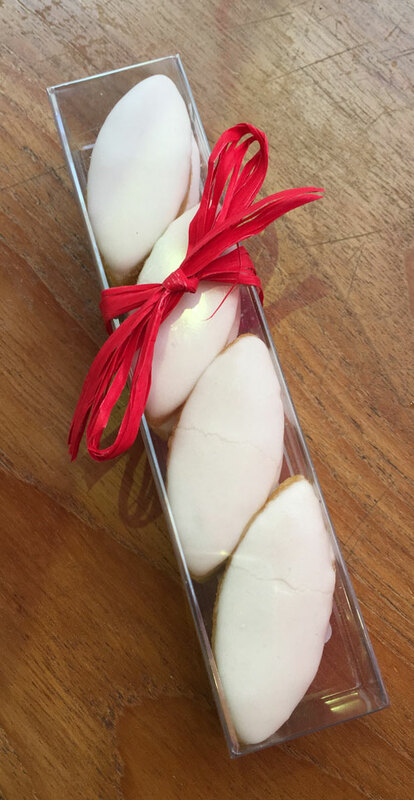 Like the calissons from France (see below), the Turkish delight has a story telling about it. Here it is: Once upon a time there was a sultan. To please his wives (he had many), he asked his confectioners to make a treat. After many tries a confectioner came up with the perfect blend, sugar syrup, dry fruit, nuts, and flavorings. The sultan loved the treats, and his wives did, too. Do you like the treats? I do. Here is some more information about them. In the late eighteenth century, Turkish people were introduced to sugar. This gave confectioners a new ingredient to make candy, and a bunch new ideas for sweets like the Turkish delight. Many different types of delights have been created, now the Turkish Delight is a worldwide treat. Guest post by Lucy: A very good treat to try in Naples is the sfogliate. It’s better nice and warm, when it still tastes good. It’s creamy on the inside like a custard or pudding, but on the outside it’s like a croissant. The reason it’s creamy on the inside is because it is stuffed with eggs, candied citrus, semolina, a tiny bit of cinnamon, and ricotta cheese. There is lard in between each layer of pastry. I didn’t like it. In France we had a taste test. We picked three kinds of Michel et Augustin cookies (that was my aunt Karen’s idea). We had to rank them one to three. One was the best and three was the worst. There was a tie between chocolate with nuts and caramel. They both got seven points. Chocolate got ten. My favorite cookie was caramel. Once upon a time there was a princess about to marry King Rene of France. She was unhappy because she didn’t want to marry a person 23 years older than her! To cheer her up, King Rene gave Princess Jeanne a treat called a calisson. Then Jeanne was happy. This is now a popular treat in Aix-en-Provence made of candied melon, almonds, and a thin layer of wafer. I didn’t like it very much, but the rest of us did. Although we all know that playing with your food is not proper etiquette, we broke the rules a bit. Before eating our calissons, we made a representation of the five senses: sight, hearing, touch, smell, and, of course, taste. Look at the pictures below. Can you guess which is which? There are two different types of turrón. One is hard (Alicante), and the other is soft (Jijona). To make the hard turrón you have to roast almonds and then chop them in half. When you are done chopping, pour the almonds with honey and mix. Put the bowl on a stove and boil the mixture. Then turn the heat down so the mixture simmers. Stir the mixture with a wooden spoon constantly. Put egg white into the mixture and let the mixture cool. Once it has cooled, cut it into brick shaped pieces and eat it. The soft turrón takes more work than the hard one. To make the soft one you have to make the hard one, then you grind it with almond oil. Then you reheat the batter and cool it. We tried four types of turrón–two hard and two soft. Two had a tie, one was almond crocant nougat and the other one was walnut cream nougat. The two that lost were pistachio and almond nougat and egg-yolk nougat. The turrón is an Arab candy developed in Spain. Turrón is eaten all the time, but it is a popular Christmas treat. There is a tradition in Cataluña (an area in northeast Spain that includes Barcelona) that you hit a log (decorated and named Tió de Nadal) with a stick, and you keep hitting it and singing until it poops turrón. Another pooping Christmas tradition in Cataluña is the caganer. The caganer is usually put into the nativity scene. It is a tradition that you have to find the caganer. 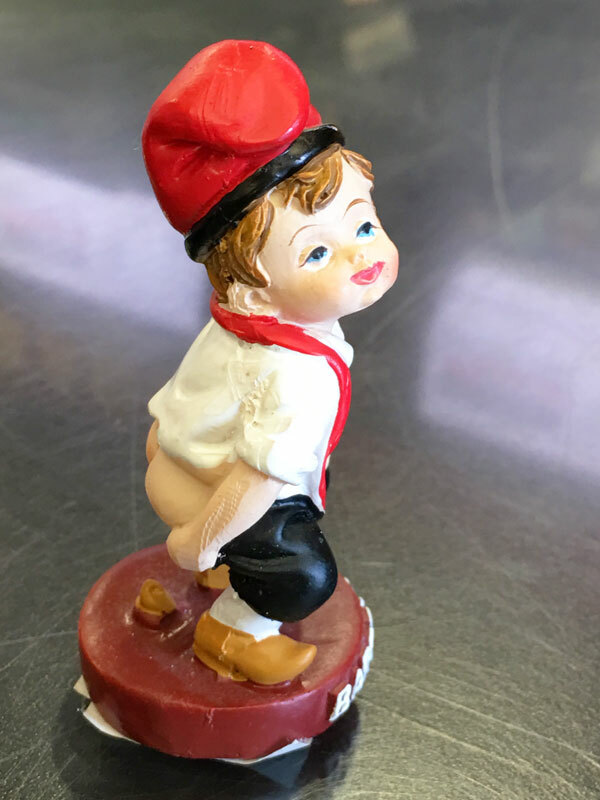 The caganer stands for good luck and good harvest since it is fertilizing the ground. We bought one for our nativity scene, but we left Barcelona, so we can’t buy one for anyone else. We were on a walking tour in Madrid, and we went to a monastery of cloistered nuns. Cloistered nuns are nuns that don’t want to be seen in public or interact with other people. We walked through a couple of hallways until we found a torno. A torno is a small revolving door. The guide asked a cloistered nun for cookies. There was only one type of cookie left: naranjines (which are orange flavored). The nun sent it around on the torno. The guide put our money on the torno, and the nun turned it around. She took our money and gave us our change. It was a neat experience. Fortune cookies are served at Chinese restaurants in the US, but they are not from China. In fact, US fortune cookies were first made in San Francisco or Los Angeles. Fortune cookies have a paper inside that has your fortune. Some cookies also have lucky numbers on the back and others have pronunciations of Chinese words. The cookie is made of flour, vanilla, sugar and oil. In Japan, we had fortune cookies at the Fushimi Inari shrine in Kyoto, where they have made the cookies since the 1800s. We saw a man make them and put the fortune in them. Japanese-style cookies are a bit bigger than the US ones and are darker in color. I think people were inspired by the Japanese cookies and added them to Chinese food in the US. One difference between US and Japanese cookies are that in the US, you only get good fortunes and in Japan you can get good or bad. My mom got a “small good” fortune and so did my Grandma. I got “good.” My dad got “big good” which was the best. 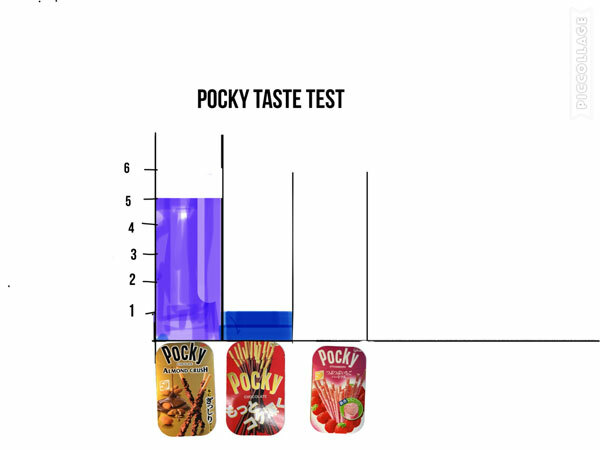 In Hakone, we had a Pocky taste test. We had special visitors. They were my grandma and grandpa. Almond chocolate won, followed by chocolate. Almond got five votes, chocolate got one, and strawberry got none. I liked almond chocolate best. 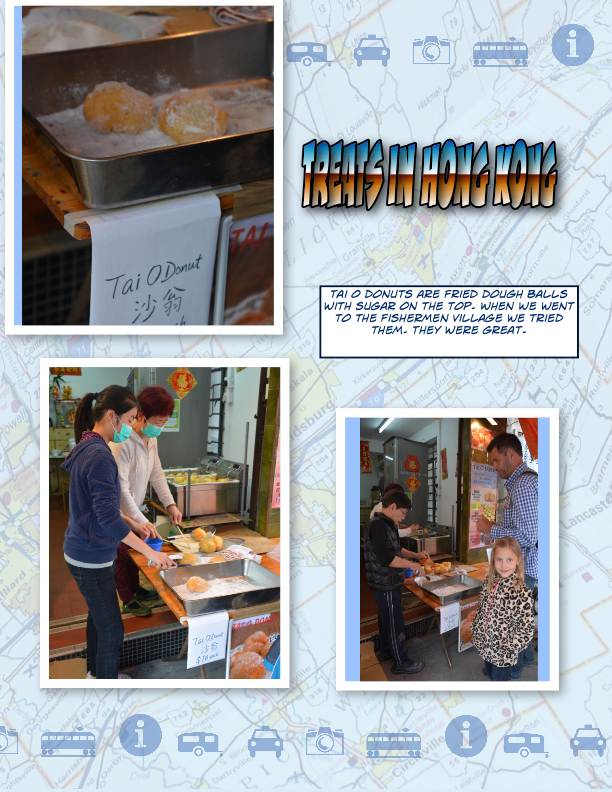 In Tokyo, we tried ningyo yaki cakes. The cakes are made from sugar, flour, eggs and water. They also had a red bean paste filling. Sometimes you can get them without bean paste. We bought them near the Sensoji temple in an area of Tokyo called Asakusa. We watched a man make them. The cakes come in traditional shapes. There is a demon, a pagoda, a lantern, a turtle, a pigeon and more. The pigeon means peace, and the turtle means longevity. I tried the turtle and I didn’t like it. They also come in Hello Kitty shapes. I liked the White Rabbit candies from Shanghai more. White Rabbit candy is a popular candy in China White Rabbit candy is a chewy candy made from milk, sugar cane, sugar and cream. White Rabbit candies are packed with two wrappers. One is made out of wax and the other one is made of rice paper. The rice paper is supposed to be eaten with the White Rabbit candy. The original name was Mickey Mouse sweets. Then it became White Rabbit because Mickey Mouse was too western. In 2008, Chinese milk had melamine. Melamine is a kind of plastic. Many people got sick because of it. White Rabbit candy had milk so people stopped selling the White Rabbit. Today White Rabbit candies have milk from Australia and New Zealand. I tried them and didn’t like them. At the airport, we bought chocolate in the shape of Angkor Wat. It was dark chocolate with peanuts. To learn more about Angkor Wat, see my currency page. The chocolate was good. Durians are the smelliest fruit in world. Durians have 44 chemicals in them. That is why they smell bad. Durians grow in Southeast Asia. Fresh durians are not allowed in many places, like in airplanes and hotels. We tried the dried durians. We did not like them. In Chiang Mai we had a cooking class. They gave us choices of what we would like to cook. We had to choose one of each menu. There were four menus. First was the soup menu, second was a menu of noodle dishes. The third one was a curry chicken menu and finally the last menu was the dessert menu. For dessert we made sticky rice with mango. Sticky rice and mango is made with mango, rice, coconut milk, salt and sugar. First we heated the coconut milk. Then put the sugar with the milk. Next we put the rice in the pan. Then we put the rice on the plate and put mango on the rice. Finally we put more coconut milk on the mango. I didn’t eat the dessert, but I can’t blame the chef. In Thailand, we had a taste test. We all bought a treat that is a product of Thailand. We bought a cookies and cream chocolate bar, a chocolate with nuts bar, a hazelnut Beng Beng bar and a Maxx Beng Beng bar. The cookies and cream bar won, followed by chocolate with nuts bar. The hazelnut Beng Beng bar was in third place, and the Maxx Beng Beng bar was last. I didn’t like the Beng Beng bars. We also bought some fruit jellies. The flavors were mango, papaya, jack fruit, strawberry, cantaloupe, pineapple and guava. So far my favorite is strawberry. Today we had a taste test. We needed to find a company that was from Singapore. We only found one. 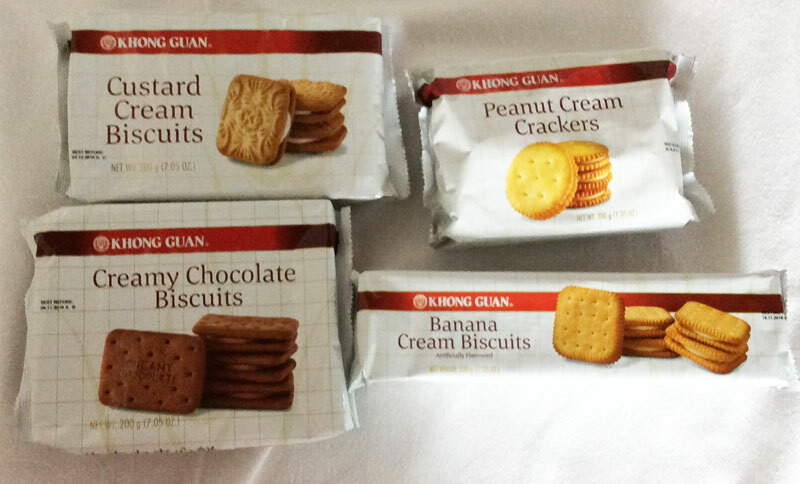 That company was Khong Guan. Today we had a special guest. His name was Rafael. I didn’t like any of the cookies. In first place, there was custard cream. There was a tie for second place. In the tie there were two cookies, peanut butter and creamy chocolate. In last place was banana cream. Here are the cookies introducing themselves. My favorite taste test so far was the Australian treats. But there are more to come! Haigh’s Chocolates was the first store to make chocolate bilbies. Every year around Easter they make big bilbies. Every other day they make small bilbies. Bilbies are small marsupials. On our last day in Australia we went to Haigh’s and ate chocolate bilbies and some milk chocolate chips. Of all the bilbies, the chocolate ones are my favorite. We had a TimTam taste test. We went to grocery store to buy the TimTams. 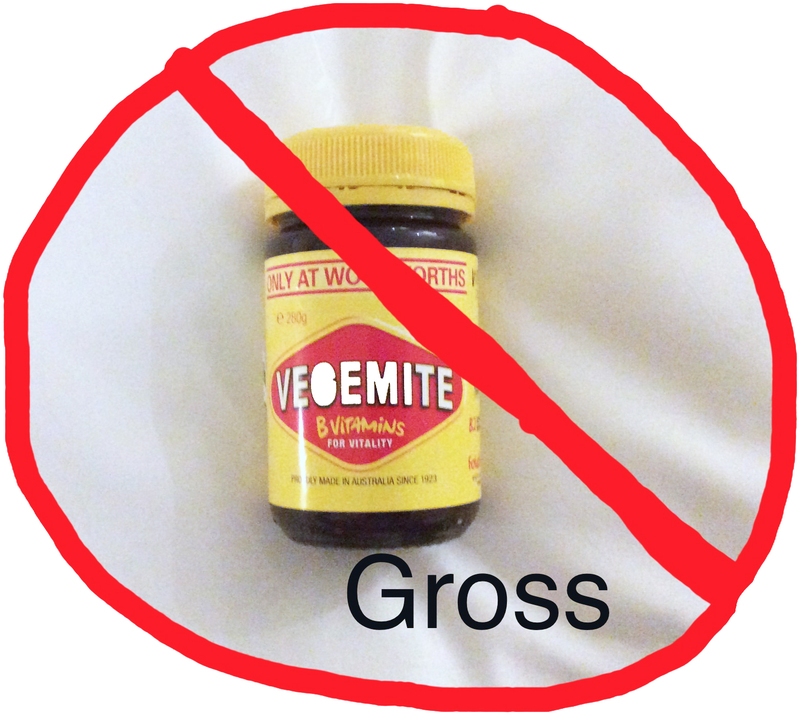 TimTams are Australian cookies. There were not a lot of flavors. Lucy chose double coat (chocolate). I chose salted caramel. Todd chose the original again. Victoria chose peanut butter because she likes Reese’s. We rated the TimTams one through four. One was the best. Lucy won with a total of eight points. I had nine. 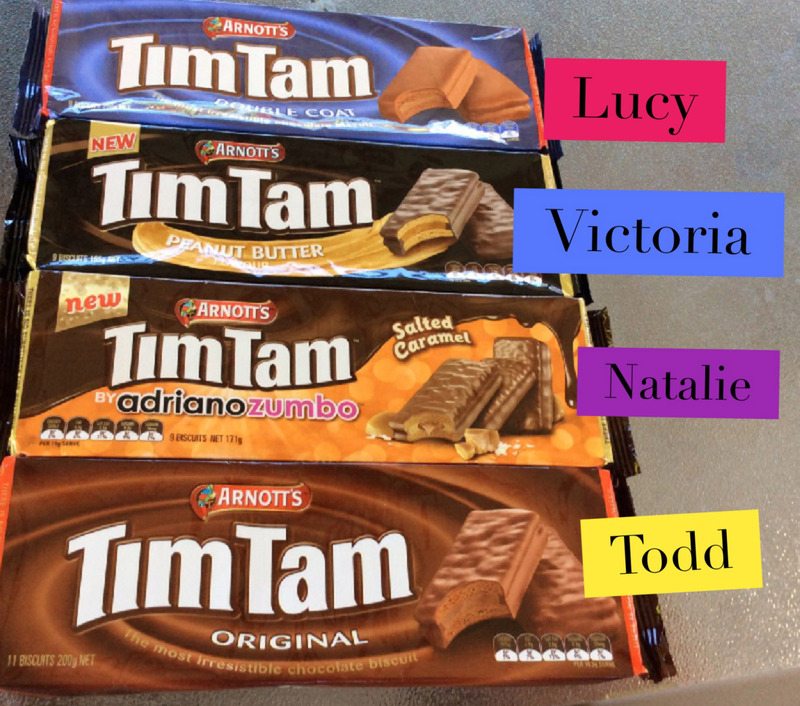 Victoria’s TimTams were in third place and Todd’s TimTams were in last place. Dec. 31: Today my family and I had a taste test. We each bought one pack of treats. Lucy chose Allen’s Frogs Alive gummies. I chose gum drops. My dad chose Tim Tam cookies and my mom chose Caramel Crowns cookies. We all voted on which treat we liked best. I added the scores. My gum drops were in first place, my dad’s cookies were in second place, my sister’s frogs were in third place and my mom’s Caramel Crown cookies were last. Even my mom didn’t like them. Tim Tams are the best!!! Can I vote too? Sorry. You can only vote if you have tried all of the treats. Wow, what a huge pack of gum drops! The Tim Tam cookies look yummy to me. We love the Dark Chocolate Tim Tam!! We vote for them! Fochi on the gum drops and the vegemite. The dark chocolate Tim Tams sounds like a winner. I loved your little motor home-away-from-home, and can’t wait to hear about your next stop. Wow, they have talking cookies in Australia? I’m Going!! Coconut milk and mango– two of my favorite ingredients! I would have loved to finish off Natalie’s dessert portion of the sticky rice with mango. Thank you, Natalie, for the food tour and “chattering” snacks! Tati, I thought the fish sticks looked good! I love the food tasting idea! Tati, you seem not to like a lot of treats! The ningyo yaki cakes look delicious. My favorite shape is the turtle. I loveeee Pocky! I can’t believe the strawberry got no votes! I am a fan! But obviously I like chocolate better. Natalie, what a great collection of information! Really, really interesting stuff. 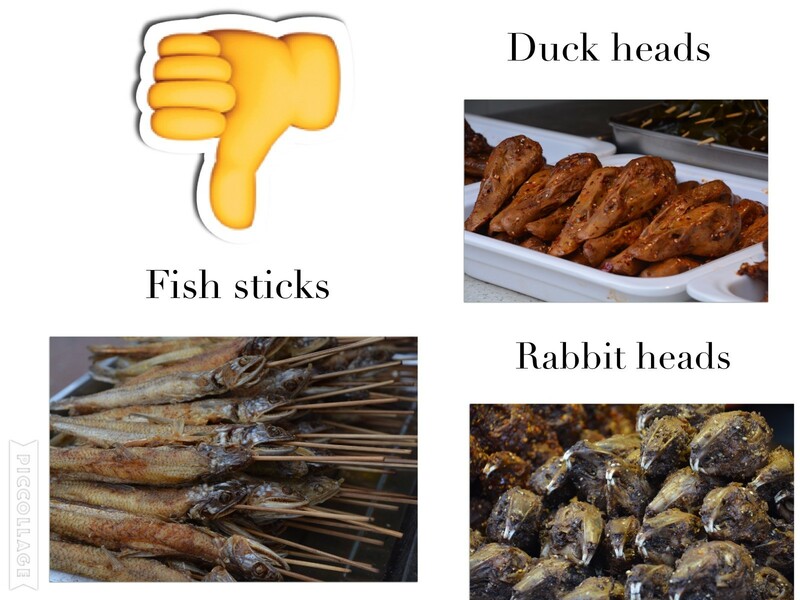 I would definitely have a thumbs down on duck heads. And fish sticks. Have you found any candy in your travels that you like than your favorite candy in the US? We have not found something better than the US, but somethings were pretty good. I LOVE Pocky!! There’s a place I go to in NYC to get them, and my freshman year roommate would bring them to me when she went to visit Hong Kong. Chocolate almond is really good. Another good one is an Oreo flavored one. Thanks for teaching me about fortune cookies, Nati. I’ve always wondered about them. Nati, Bex and I got the cookies from the nuns too! The little revolving door was my favorite part. 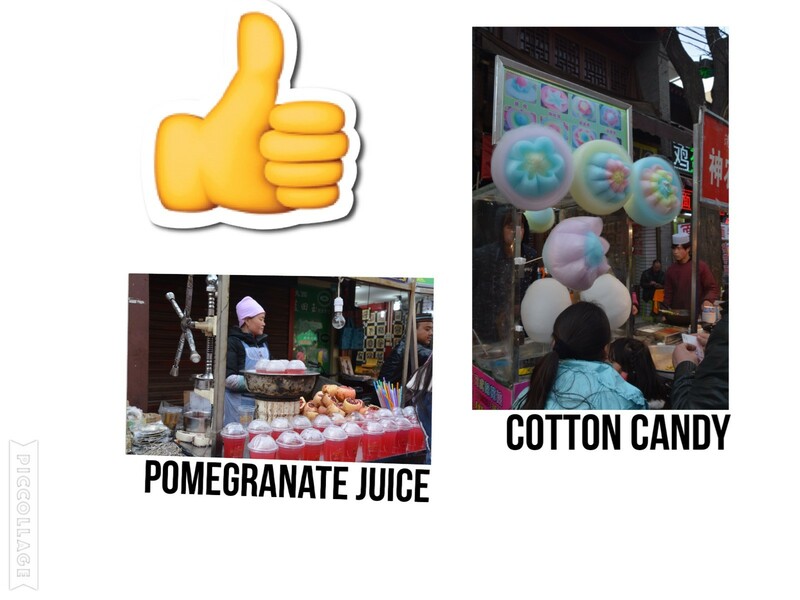 Natalie, I wish I could try all these wonderful things with you! Although I know you didn’t love all the things you have sampled, I am very happy that you have tried them! I’m very disturbed by the caganer! Where will the caganer be positioned in the nativity?? It’s like the pickle on the tree. You have to find it. YUUUUMMY! I love Michel et Augustin cookies! I’ve only had chocolate, but because Nati liked it, I’ll find some caramel too! Thanks for doing a taste test on these cookies! Did you try those pistachio Turkish delights? The Mozart chocolates filled with pistachio marzipan and wrapped in foil were among my favorite treats in Salzburg, but not everyone likes pistachio. I hope from now on all of your treats will be #5s! Uncle Caleb loves Stroopwafles too! We have LOTS of them in our pantry.